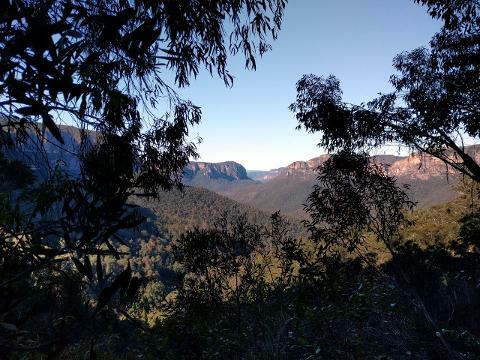 This fantastic walk descends into the Grose Valley and visits the world famous Blue Gum Forest. Our walk commences on the Lockley’s Pylon Track- A relatively easy yet incredibly scenic route across the top of the Plateau. After we reach the edge of the escarpment the impressive views that reveal themselves will mark the opening highlight of our journey. From this high point we start an adventurous descent from Du Faur Head. This track is a lesser used entry point into the Grose but is easily the most interesting and inspiring variant. We drop 650m in elevation on the section leading to the junction of Govett Creek and The Grose River. 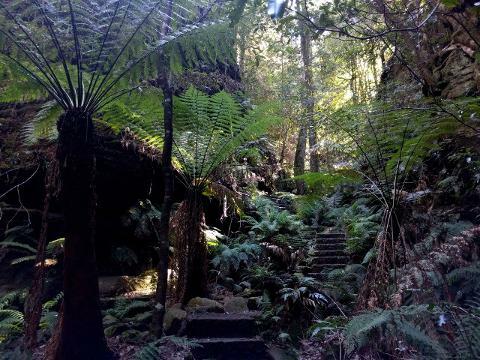 This feature is a worthy spot for lunch before we visit the majestic Blue Gum Forest. From Blue Gum Forest we will continue along Govett Gorge to our overnight camp at Acacia Flat. Our second day will see us leave our wilderness camp and commence the uphill trek to our Valley exit point. This day is challenging, with a gain of 760m from start to end, however, this is one of the most impressive walking routes in the region! 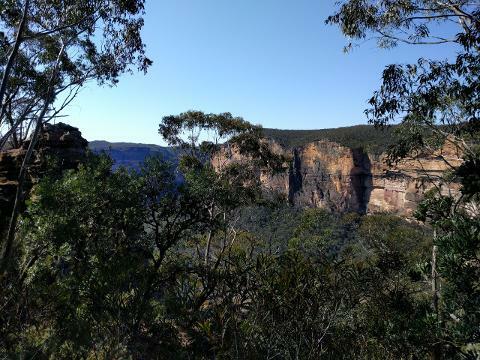 We pass Junction Rock and continue up through temperate rainforest to the base of Govett’s Leap Falls. From the base of the cascade the track begins a steep uphill section and then straight up through the cliffline! 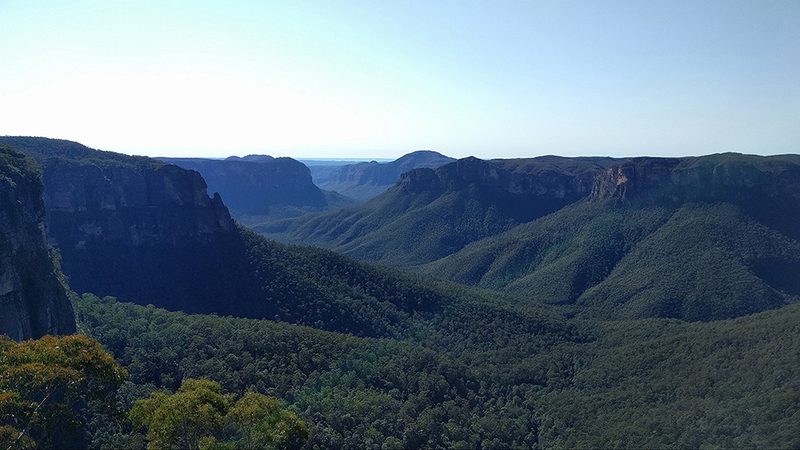 When we gain our high point at Govett’s Leap we can look back across much of the outstanding terrain we have just traversed. Completion of this two day trek is an impressive outdoor achievement through an equally impressive landscape!